Over the Christmas vacation we’ve been busy increasing the number of study spaces and PCs at all three campuses. Level 0 of Boots Library has had a major refurbishment and now provides 150 study spaces, 73 of which have PCs. In addition new shelving makes it easier to find books and gives a lighter, brighter feel to the area. Clifton Library has seen the launch of three new extended library study lounges in New Hall block, The rooms provide extra study spaces and include 43 PCs and 10 iMacs. Open from 7 am - 8 pm, the rooms can be found at NHB083, NHB087 and NHB092 on the ground floor. Brackenhurst Library has increased the number of PCs and group study tables available for use. 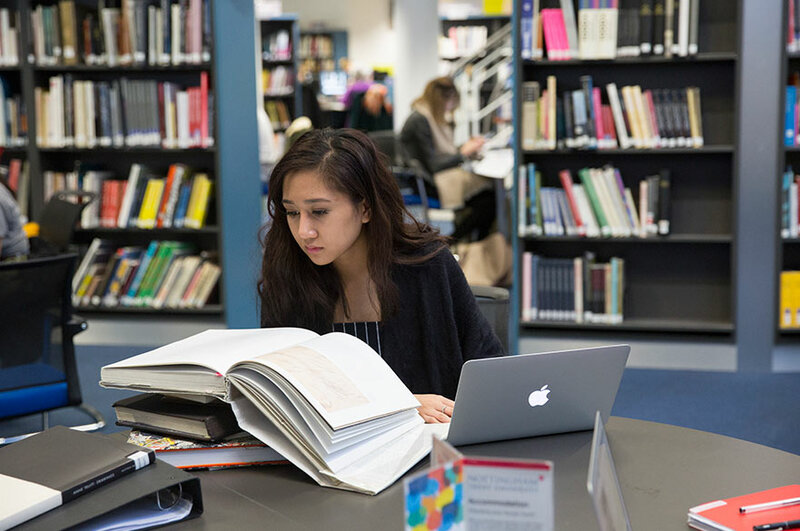 There are now 12 extra study spaces with new PCs and two new group study tables for up to four students to work as a group, or independently with laptops. The library has also increased the number of laptops available for loan to 30, all can be borrowed for use in the library.